This entry was posted in Birds (鳥), Photography (写真) and tagged aquatic birds, カイツブリ, ハジロカイツブリ, birds, black-necked grebe, 羽白鳰, diving birds, 野鳥, grebes, 水辺の鳥 by T Ibara Photo. Bookmark the permalink. This is a grebe. I’ve seen them. They dive deep in the water to find food. Beautiful! Yes, it is amazing. They cover such distances without a chance to sit and rest. Winter beauty and beautiful photo. I love it. Thank you for your visit and comment. 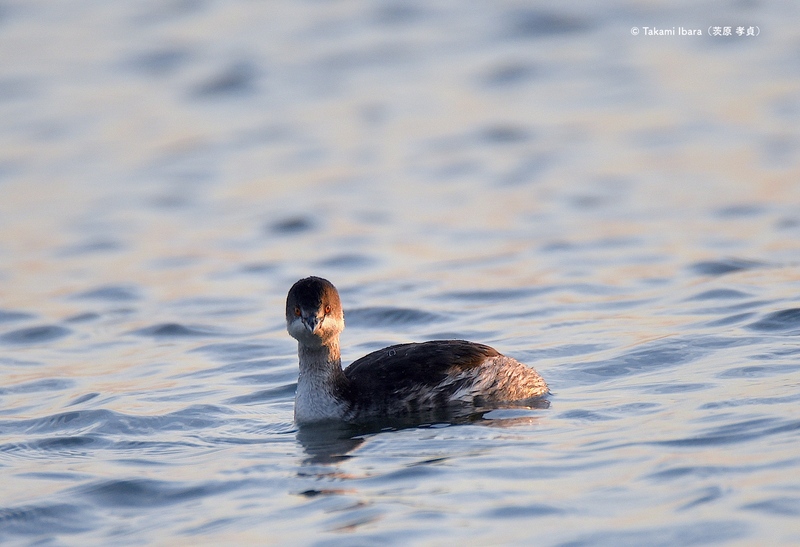 I’m very happy you like this Black-neck Grebe. They visit us in the winter. Beautiful! I take it this is a loon? Oohhh, I probably just wanted it to be a loon. Do you get loons in Japan? (‘Loon’ meaning the bird, not the slang term for crazy people). Such an intensely present gaze, Takami! Thanks for stopping by 🙂 Really appreciate it. So cute! I love the flow of the water too. Thank you! Black-necked Grebes are tiny (especially in comparison to ducks) and it’s amazing how them can swim across oceans. They visit us during the winter months and are a real joy to watch. Great shot – the look on the bird made me smile! You captured those beautiful red eyes, awesome, Takami! Thank you. This was a beautiful bird.